Bolivia is characterised by an economy that is mostly focused on the extraction of natural resources. Metals such as silver, gold, zinc, tin and copper; but also oil, natural gas and growing soya, all constitute the backbone of the economy. A lot of hope rested on the leftist regime, but, thus far, it has not brought about any change. As long as the country doesn’t focus on alternatives, hopes for the future seem dire. Bolivia is a country with a long mining tradition. Mining is deeply entrenched in Bolivian society, making current mining conflicts often very complex, involving many different stakeholders. Already before the Spaniards came, in the 16th century, metals were being extracted. During the colonization, the Spaniards eagerly exploited the resources of the country. One of their most important discoveries was Cerro Rico in Potosí, discovered in 1545 –a mountain that was so rich in silver, which easily filled the Spanish treasury during its colonial conquests. After the Bolivian independence of 1825, the mining sector remained in the hands of a very wealthy elite. Change came in the 1950s, when some Bolivian revolutionary elites aimed for the nationalization of the mining sector. The COMIBOL (Bolivian Mining Corporation) arose and played an important social and economic role for some decennia. However, this did not last long. From the 1980s onwards, neoliberal regimes brought a renewed privatisation of the sector. Everything was put in place to attract foreign capital by creating a favourable tax regime and minimizing regulations, etc. These measures have attracted big mining multinationals like Glencore, Newmont Mining and Pan American Silver, still active in the country today. These companies discharged thousands of miners who used to be employed through COMIBOL. A large part of these miners started organizing themselves in cooperatives to continue extracting minerals. About 20 years later, these cooperatives have often grown into small businesses that work by the same logic as the private sector. The neoliberal tendency of the last decennia remarkably continues under the leftist regime of president Evo Morales. Upon his appointment, he put the care for Pacha Mama (Mother Earth) on top of the agenda – a care that is deeply embedded culturally, especially with the Bolivian indígenas. Despite his ecological discourse, the number of large-scale mining projects, which extract minerals in an industrialized manner (open-pit mining) increased during his mandate. In this way, the Bolivian export of minerals continues to increase, but only 10% of the value of the export remains in the country. The new mining law, which was approved in 2014, clearly favours the mining sector and makes it easier both for mining companies and for cooperatives to obtain mining concessions. This also implies that these companies will officially be able to obtain concessions in natural parks. Not only has this increased the number of given concessions, but it has also caused a strong expansion towards tropical areas and the Amazon rainforest. The protesting voice of Pacha Mama can only be heard somewhere far in the background. The long mining activity has inevitably led to many incidents that have had a huge impact on the environment. In a few mining areas, the whole ecosystem has already been irreversibly damaged. Such has been the case in the river basin of the Desaguadero River, in the department of Oruro. Mining operations from Glencore, Newmont Mining and many others simply dump their mining waste in the rivers, which flow via the Desaguadero into the lakes of Uru Uru and Poopó. This has made it impossible to practice traditional activities (fishing, cattle breeding and agriculture) without facing complications or health hazards. The government proclaimed the entire zone as a disaster area, but regrettably this has not led to any specific actions to protect the area against further pollution and, thus, protect the local people. Moreover, the recent expansion towards tropical lowlands is alarming. The search for gold leads to an enormous pollution of the water basins because of the use of mercury. Additionally, the expansion of mining leads to massive deforestation. Bolivia thus continues to be characterised by an economy that is mostly focused on the extraction of natural resources; metals such as silver, gold, zinc, tin, copper, but also oil, natural gas and growing soya, all constitute the backbone of the economy. A lot of hope rested on the leftist regime, but, thus far, it has not brought about any change. As long as the country doesn’t focus on alternatives, hopes for the future seem dire. The case of the Kori Kollo gold mine is an emblematic case where a transnational mining company takes valuable precious metals and leaves a severely contaminated area for the local people. Catapa is following this case from the very beginning in collaboration with local partners CEPA and Coridup. The Kori Kollo gold- and silver mine is situated at about 3,710 meters above sea level in the Bolivian plateau (altiplano). The mine is part of the department of Oruro and is located over 42 kilometres northwest of the city of Oruro and over 160 kilometres southeast of the capital La Paz. Oruro has semi-arid climate, which means that nine months of drought alternate with a rainy season of three months. Over the period of twelve months, there is a rainfall deficit, as there is more water evaporating than actually raining. As a result, fresh water is relatively scarce. The mine is situated at the Desaguadero river, which is mainly supplied by Lake Titicaca and flows into the lakes Poopó and Uru Uru. At the height of Kori Kollo, the river is divided in two: the left branch flows to the Uru Uru lake, from where the water overflows into Lake Poopó; the right branch flows directly into Lake Poopó. Both lakes are covered by the international Ramsar convention, which means they are recognized as wetlands of international interest. The Kori Kollo mine was actively exploited from 1980 to 2010 by the company Empresa Minera Inti Raymi S.A. (EMIRSA). This company had several (majority-) shareholders over time. Initially, the distribution among shareholders was 50% Bolivian (with Zeland Mines of Bolivia) and 50% North-American (Westworld Resources, US). From 1988 onwards, Battle Mountain Gold started buying themselves in and by 1995, they possessed about 88% of the shares of EMIRSA. In 2001, Battle Mountain Gold was taken over by Newmont Mining Corporation. In 2009, the latter sold all its shares to the Bolivian Compania Procesadora de Minerales SA, with a clause to receive an annual lump sum from EMIRSA in the coming years. Around 1980, the first exploration and the preparations for the later exploitation started. From 1984 onwards, ore (oxides, and later sulphides) was actively being extracted and locally processed by grinding and piling the ore on leaching platforms which were being sprayed with cyanide. The cyanide extracts the different precious metals (such as gold and silver) from the ore. This solution is collected and then processed to finally only leave the precious metals. Between 1985 and 2010, a total of 122,633 kg gold and 382,501 kg silver was produced. The mine also generated 144 million tons of waste rock and used at least 53 million m3 water. Kori Kollo was originally the name of the mountain which has totally been excavated during the mining process, to a depth of approximately 240 meters deep. With the closing of the mine, this well was filled with water from the Desaguadero river. Kori Kollo has several consequences for its surroundings, mainly downstream. Apart from nuisance by noise and dust, the transport of cyanide and the dumping of contaminated waste rock, the biggest problems are situated around the water, in different ways. Since the mine needs large amounts of fresh water for its extraction and production processes, the current through the right branch of the Desaguadero river has been artificially increased by excavation works. As a result, the Uru Uru lake (fed by the left branch) receives less water, making it significantly smaller. This is being denied by EMIRSA, but has been confirmed with historical satellite images used by researchers from the local university (UTO). A big part of the water that is drained from the river’s right branch gets lost in the production process. When digging the mining well, there is a continuous influx of ground water in the well. To keep the well dry, the (salt) ground water is being pumped and stored in big evaporation lakes. Because of the composition of the subsoil, this water also contains high concentrations of heavy metals. The water evaporates, after which a salt crust (with heavy metals) stays behind. At heavy precipitation during the rainy season, these evaporation lakes sometimes receive huge amounts of water because of which the embankments risk to break down. The freed water then ends up in the river, which takes the salt and heavy metals to Lake Poopó. Along the way, the river can overflow its banks and leave polluted silt behind. The pumping of water to keep the mine dry also has an influence on the balance of the ground water. Several communities downstream of the mine complain about dried out and/or silted groundwater wells. The inadequate storage of the polluted waste rock leads to the release of heavy metals which infiltrate the soil en thus contaminate the ground water. The fishing communities from the Uru Uru Lake claim that they could already feel the consequences of the Kori Kollo mine in de 1980s. Also other agriculture communities located downstream of the mine started to feel more and more hindrance: silted groundwater, births of deformed animals, health issues both for people and animals, silted soils, lack of water, etc. EMIRSA only received an environmental license for the mine around 1997, since before these licenses were not required because there simply weren’t any environmental laws that could conceive operations of this kind. The complaints became more numerous and louder and in 2000 about 80 communities joined in the organization Coridup (Coordinadora en defensa de la cuenca del Rio Desaguadero, los Lagos Uru Uru y Poopó). A total of almost 1,000 official complaints were filed at the ministry, signed by more than 10,000 people. In 2003, a hunger strike led to an investigation commissioned by the government. It would take six more years until in 2009 the ministry commissioned an official environmental audit by the Bolivian Auditor (PCA Ingenieros Consultores SA) with money from EMIRSA (1.25 million dollar). The government would guarantee the independent control. The Centro de Ecologia y Pueblos Andinos (CEPA), a local NGO from Oruro, supported Coridup in their battle for socio-ecological justice by offering technical-scientific, juridical and organizational support. The start of the audit went arduously and, in the end, it was considerably delayed. The audit was executed in 3 phases. When the midterm report came out, everyone had the chance to go through the text and formulate comments for the state representative within 15 working days. Catapa and Cepa together coordinated a team of Belgian and Bolivian volunteers who revised the voluminous documents (700-1200 pages). The fact that national and international academics followed up on the audit, made the government and the audit agency feel controlled and adjust the content. Nevertheless, the quality of the research was deplorable. For some parts, outdated research methods were used, the expertise of researchers was limited and the research was not enough integrated. However, it was concluded that contamination of ground water, soil and surface water was assessed, but the legal liability of the mining company remained vague. With a much more limited budget, Catapa and Cepa commissioned the local university Universidad Tecnica de Oruro (UTO) to execute an alternative study on the impact of the Kori Kollo gold mine on the environment. The financial expenses were divided among the different institutions. The conclusion of this study was much more severe. The diversion of the river branch, the mobilization of heavy metals in the ground water, the silting of the area and the serious impact of on the local fauna and flora were scientifically motivated. The Kori Chaca gold mine is the “little” brother of the Kori Kollo mine. Like his older borther, Kori Chaca is an open-pit mine owned by the private company Inti Raymi (EMIRSA). Although the concentration of gold is particularly low in this mine, EMIRSA decided to start this project in 2004 because for this new project the company could recover a big part of the facilities of Kori Kollo. A peak in the gold price during the first years after its opening was advantageous for EMIRSA and thus the mine stayed open for a lot longer than initially planned. Despite the low gold concentrations, huge profits were made. Due to its unusual location, CEPA and CORIDUP are closely monitoring this case, and so are we. Kori Chaca mine is situated on the Andean plateau (altiplano), in the department of Oruro. The biggest criticism of the project lies in the fact that the site is located less than five kilometers Southwest of the city centre of Oruro. This means that the site is situated in the urban zone of this big city, which makes the construction of the mine unlawful. Nevertheless, EMIRSA obtained the licenses to extract gold from the Vincutaya hill. The site borders the Iroco mining district, a district where mining activities have already been taking place for hundreds of years. Since 1994, six foreign companies have explored the Iroco site: Free Port, BHP, Cameco, Austrabol, Vista Gold and Newmex. However, none of these found the potential gold output high enough to start exploiting the site. EMIRSA did, however, have an interest in the extraction of the 0,8 grams of gold that one metric ton of ore on average contains, and obtained the concession rights in 2001. They acquired the environmental license in 2004, after which the construction of the mine started, with the objective of extracting 224,000 ounces of gold in four years’ time. In 2008 the decision was made to extract an additional 2.8 tons of ore (mix of gold and silver). By the end of 2013, the closing phase of the mine started. The Kori Chaca mine is an open-pit gold mine, which in this case means that every day an average of 20,000 tons of material was being excavated from an ever-deeper hole, 24 hours a day, 6 days a week. These tons of materials were then grinded and piled on leaching platforms. The platforms were being sprayed non-stop with a mixture of water and cyanide to extract the gold particles. About 60 to 70 tons of cyanide was used on a daily basis. Moreover, the mine had an excessive water usage, according to official numbers using up to 6240m³ of water per day and an additional 25,000m³ drinking water per year. By the end of 2013, EMIRSA started the closing phase of the Kori Chaca mine. No new rocks were being excavated. Without any warning, EMIRSA filled up the hole, which had reached a depth of about 110 meters, with water from the bordering Desaguadero River. The leaching platforms continued to be sprayed on for three years after closure, to continue the extraction of gold. While digging the mining pit there is a continuous supply of groundwater into the pit. To keep the pit dry, the (saline) groundwater is pumped up and stored in big evaporation lakes. Because of the composition of the subsoil, this water contains high concentrations of heavy metals. The water evaporates after which a salt-encrusted surface (with heavy metals) remains. In periods of heavy rainfall, these evaporation lakes receive big amounts of water, which can cause the embankments to break. The released water then enters the Desaguadero River, which takes the salt and heavy metals to the Poopó lake. Along the way, the river can also overflow its banks and leave behind contaminated silt. The pumping of groundwater to keep the mine dry also has an influence on the reserves of groundwater that seep into the pit from kilometres away. Various communities, downstream of the mine, complain about dried out or salinized groundwater wells. The inadequate storage of the contaminated waste rock causes the release of heavy metals, which infiltrate the soil and thus contaminate the groundwater. There is a lot of confusion now about what will happen with the mining area and with EMIRSA. According to EMIRSA they have moved out of Oruro completely and don’t have further plans to continue mining. However, rumour has it that they plan to obtain concession rights for neighbouring mountains to continue extracting gold there. Another option is that smaller mining cooperatives will extract gold there, with EMIRSA acting as wholesaler. Whatever the future holds, it remains important to continue monitoring the case. What follows is an overview of the projects that Catapa has been and/or still is developing in Bolivia, helping our local partners wherever needed. In 2010 CATAPA gave effect to the question of its Bolivian partner CORIDUP to find a solution for the acute drinking water problems. This association of rural communities was looking for a way to tackle the shortage of drinking water and the pollution in the –by climate change and mining – affected region. Although water purification as such is not the core business of CATAPA, the solar distillation project could be supported by the funding of the Fund Elisabeth and Amélie of the King Baudoin Foundation. The Bolivian altiplano has been facing serious water contamination for years already. 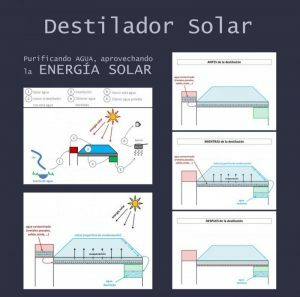 The solar distillation project is focusing on the action area of CORIDUP, which is the southern part of the catchment basin of the Rio Desaguadero, consisting of the Desaguadero river itself, as well as the lakes Uru Uru and Poopó. This area faces serious salination and an excessively high concentration of toxic metals in ground and surface water. This contamination obviously has serious consequences for the local population in terms of health: low life expectancy, frequently occurrent cancers, infertility and disorders of the central nervous system. The cause of this pollution are both natural and anthropogenic. On one hand, the soil is naturally rich in salts and minerals; on the other hand, climate change and mining increase the salt- and metal concentrations. These causes are also strengthened because the Rio Desaguadero and the lakes Uru Uru and Poopó constitute an endoergic (i.e. closed) basin. There is no connection between such basin and the sea, which makes evaporation the only way out. Big evaporation plains such as Coipasa and Uyuni are a result of this. Coincidentally, exactly the same phenomenon of evaporation –and thus the remaining of salts and metals – is at the same time also a solution to the problem. 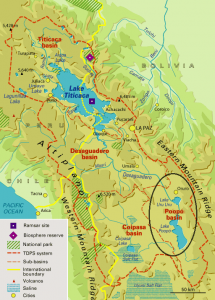 Suppose, hypothetically, that you could put a big dome on the basin of the Desaguadero river and the lakes Uru Uru and Poopó, then the evaporated water would condense on this dome and glide down as billions of purified (distilled) water drops. The gigantic dome from the description above can be imitated on a small scale in the shape of a solar distillator, with the dome as the roof/lid of the distillator. The solar distillator is definitely no new purification technique. The same principle has been used as a survival strategy on sea and in the desert. Contaminated water in a tightly closed reservoir is being heated by the sun and evaporates. Thereafter this water condensates (i.e. forms drops) on a cool, sloping surface (i.e. the roof/lid from the distillator). Eventually, these water drops slide into the provided channels that collect the purified water in a clean reservoir (figure 1 and figure 2). The climate of the altiplano is ideally suited for this kind of applications. There is an abundance of sun all year long, obtaining an efficient greenhouse effect, but at the same time the environment temperature is relatively low, which is good for condensation. The Technical University of Oruro (UTO) was the first to do a small-scale research for a prototype that could easily be produced locally. The focus, however, was mainly on the distillation process itself and less on the materials that were needed for a robust construction. The latter was investigated further by the local NGO Complejo Solar, with support of the NGO CEPA and CATAPA. Thus, a few prototypes followed. By implementing small changes –both to the model itself and to the used materials- a final prototype was obtained (figure 3). During this searching process, some new interested Bolivian organisations jumped on the wagon, namely SENTEC, LIDEMA and PIEB. The power of the designed distillator lies in the simplicity of its construction, which also makes it cheap and easy to repair; in the robustness of the design, making it resistant to rough weather conditions; and the ease of use/ autonomy (the water is being added in the morning and available in the evening). Also the solitary character of the installation is a necessary point. Since the families that are asking for a solution are living very dispersed, a centralised water supply is not an option for this region. The project focuses on the 80 rural communities in the organisation CORIDUP, all living in the department Oruro, around the Rio Desaguadero and the lakes Poopó and Uru Uru (figure 4). The first solar distillators reached the communities that were affected the most. On the one hand, this is the community of Santo Tomás, downstream of the Kori Kollo gold mine – which has been closed in the meantime, but where the groundwater from the wells in the region is still very salinated and contaminated with metals -; on the other hand, the communitie of Sora Sora downstream of the Huanuni mine, where the installation of ore processing discharges its sediment directly into the Huanuni river, polluting the whole area downstream with toxic metals. Apart from producing drinkable water as such, this project also leaves important traces. The issues of contaminated ground and surface water became really tangible. Because salts and metals remain as a crust after the evaporation, the contamination suddenly becomes visible for the population (figure 5). Like this, mainly the families themselves are being sensitized about the importance of clean drinking water. Secondly, the rural communities can influence local and regional governments more easily by making the problem of water contamination tangible on these levels. They stress the importance of urgent, specific action against the detrimental consequences of climate change and mining. If the government wants to avoid a further rural exodus, then its policy needs to effectively take into account the prevailing problems. Fig. 5: The contamination of the ground- and surface water becomes tangible when after evaporation a crust of salts and metals remains. From January 2016 until December 2019, CATAPA will actively work with its partners on a water project around the Poopó Lake, in the highlands of Oruro in Bolivia. Since November 2014, the lake underwent a major disaster as a result of mining pollution and climate change, resulting in, by the beginning of 2016, the lake being almost completely dried up. For these reasons, the area got some media attention during the first weeks of January. The drying up of the lake and the associated death of fish does not only have implications for fishermen, but it also causes disastrous consequences for the general water supply of the region. Thousands of families around the Poopó and Uru-Uru lakes have seen their water supplies dwindle in recent years. Persistent droughts and extreme water pollution caused by mining in the region are the primary causes. The water in the Desaguadero River and the lower Poopó lake were already declared completely unfit for human use a few years ago. With grants from Flanders through the VPWvO (Flemish Partnership Water for Development) and with the collaboration of different Flemish (Academics for Development, Engineers without Borders) and local organizations (CEPA, CORIDUP), CATAPA will provide water tanks for the collection of rainwater and training sessions around the pros and cons of potential water resources and sustainable use of water over the next four years. The goal of the project is to place about 50 collecting systems (through roofs) for rainwater and water tanks in six communities where water scarcity is the greatest. Complejo Solar, a local partner who has many years of experience with such technical issues, will be responsible for supervising the installation and maintenance. The selection of families where a tank will be placed will be done based on a number of criteria. This will be done in cooperation with the municipality, the local indigenous leaders and CORIDUP (as a people organization). The cooperation of CEPA, our partner in Bolivia, will create confidence in the selection process and avoid favoritism. Moreover, intensive training sessions will also be organized in the respective communities and the surrounding villages. Both technical assistance on sustainable maintenance of water tanks as well as general information about sustainable water use, other potential water sources, and knowledge of the causes of water pollution and the legislation on water will be discussed in these sessions. Some 2,900 people could benefit from these training sessions, allowing an even greater number of people in the region to be affected, directly or indirectly, by the project. The project will be followed up for four years by an in-the-field assistant of CATAPA who will help support the project on site and evaluate the project together with our partner CEPA. 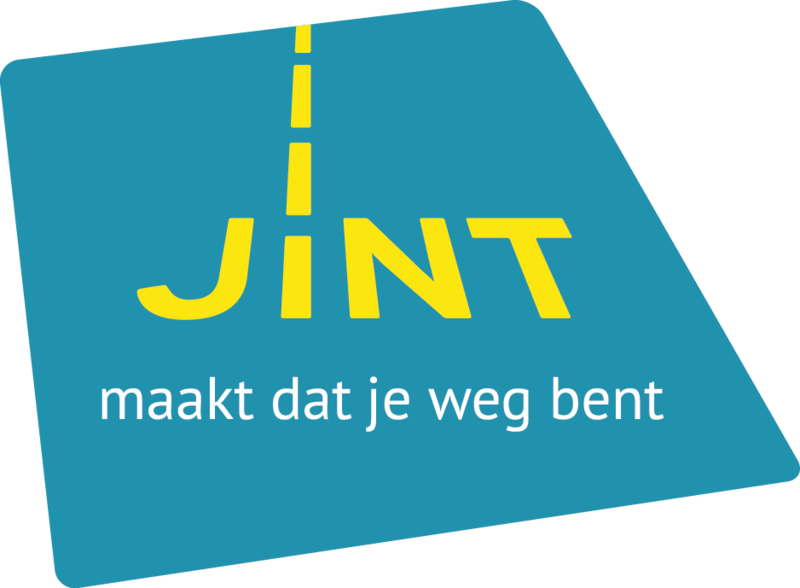 Our Flemish partners will assist in the evaluation of the project, and will, if necessary, make recommendations for adjustments of the project in the course of four years. Although the financing of the project will stop after four years, we hope together with all our partners, that long after 2019 people in these communities and in the broader region will continue to pursue sustainable water uses. CEPA has actively been operating in these villages for many years and will continue to provide further guidance in the communities long after the project’s end. The objective of the arsenic removal project in the vicinity of Poopó Lake is the prevention of diseases related with the consumption of water with big amounts of arsenic in the rural communities located in this area. This goal can be reached by offering a viable solution whose efficiency has been scientifically proven. Arsenic is a natural chemical product, colourless, odourless and tasteless. It is harmful for the health. According to the guidelines of the World Health Organisation, the concentration of arsenic in potable water cannot surpass 10 μg/L. After an investigation performed thanks to the mutual collaboration between CATAPA and CEPA, it was discovered that contamination of rain water with arsenic is due to atmospheric aerosols and dust, while the subterranean sources of water are contaminated by mining effluents and natural traces of arsenic in the volcanic subsoil. Pitifully, these contamination sources can’t be removed easily, making necessary the implementation of a viable solution for this problem in rural areas, complementing the project of CATAPA “Rainwater harvesting”. Taking into account the long-term viability of this project, the importance of the study and the selection of an appropriate method of removal of this product from the potable water were emphasised, using materials that can be acquired locally. In this case, the assessment that the rural communities offer plays a relevant role in this project. This line of work has as a goal the strengthening of the research capacity of the NGO and local researchers, both in the knowledge and in the basic availability of laboratory material for the development of solutions in the treatment of potable water.